When most people see a highway accident involving a truck, they usually assume the accident was caused by the truck driver. This is not always the case. A lot of tractor trailer wrecks are actually caused by the carelessness of other drivers on the highway. These accidents occur because other drivers on the road don’t take extra precautions when driving in close proximity to a tractor trailer. Truck drivers face extra challenges associated with driving big, heavy vehicles. Because of this, it is important for other motorists to give trucks extra room on the highway and avoid driving errors that can lead to a deadly truck accident. Understanding the visibility issues and handling characteristics of large trucks can help other motorists drive more safely around these vehicles. One common driving mistake is driving too closely behind a tractor trailer. A car driver will not have enough time to stop if the trucker has to slam on the brakes for some reason. A heavily loaded truck can often stop much more quickly than a lightly loaded one, due to the increased friction of the tires with the road. A lighter car behind the tractor trailer truck may not be able to stop in the same distance. Another common driving mistake is changing lanes too closely in front of a large truck. When a car changes lanes abruptly in front of an eighteen-wheeler, this maneuver does not allow the truck driver enough time to respond safely – especially if the car suddenly slows down after changing lanes. Merging into traffic too slowly in front of a truck can also cause a truck accident if the truck driver has to suddenly brake. A large truck may not be able to stop as quickly as another vehicle can, depending on the weight of the vehicle, the condition of the tires and brakes, the condition and characteristics of the road, and weather conditions. A third common mistake is not pulling completely off the highway with a disabled vehicle. Many trucks use almost the entire lane width. A truck driver may not be able to avoid a vehicle that is still partly in its lane. Even if the lane next to the truck is clear, if the truck has to suddenly swerve to avoid hitting the disabled car then an accident can occur. Other common mistakes occur when passing a tractor trailer truck. Although most trucks have very good visibility if the mirrors are adjusted correctly, some trucks still have a blind spot just like a car. Often the blind spot is directly behind the truck and close to it. Driving in a truck’s blind spot is a common mistake and can be very dangerous. Similarly, do not cut suddenly from behind a truck and then pass. A truck driver may be about to make a lane change, and may not have time to see your vehicle. Changing lanes and passing a truck at a right turn can be especially dangerous; many trucks have a decal on the rear warning that the truck has to make a wide right turn in order not to come across the corner. Safety requires staying back and letting the truck complete the turn, instead of trying to pass while the truck is making a right turn. Even if the roadway has two right turn lanes, do not try to pass the truck on the inside lane if the truck is in the outside turn lane. Many trucks cannot make a tight right turn and must come across the inside turn lane as well to complete the right turn. Driving is a professional trucker’s livelihood. Most truckers are excellent drivers who are safe and careful when driving. They want to get home safely to their family and friends just as you do. When another motorist is careless, a truck driver may be injured trying to avoid causing injury to other motorists. If a truck driver is injured and misses time from work, many are unable to provide for their families. If you are a truck driver who has been injured through no fault of your own, you should seek professional advice. You should talk to an experienced tractor trailer attorney if you, or a member of your family, is a professional trucker and has sustained injuries in an accident caused by the negligence of another driver. An experienced tractor trailer accident lawyer will have the background and experience necessary to evaluate the facts and merits of your case, and to fight to recover fair compensation for your injuries and loss. Prompt investigation by professionals in accidents involving tractor trailers is often essential to the success of a case. These investigation professionals will document accident scenes and gather important evidence. Experienced truck accident lawyers often turn to independent investigators and accident reconstruction experts to examine and develop the facts surrounding an accident. No two truck accident cases are alike but many share similar fact patterns and common characteristics that an experienced lawyer can use to your advantage. 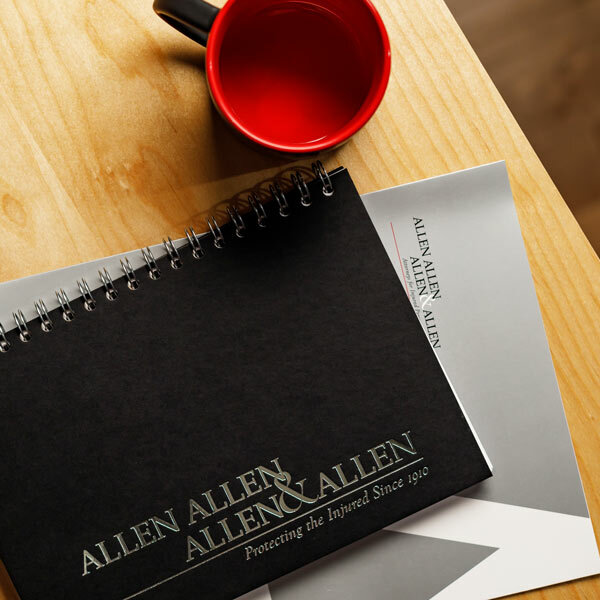 At Allen and Allen, we have many experienced and knowledgeable trucking accident attorneys who can help you. About the Author: Chris Guedri is a truck accident attorney in the Richmond office of Allen, Allen, Allen & Allen. He has handled complicated tractor trailer accident cases, bus accident cases and commercial truck accident cases and has won multi-million dollar verdicts over his career. In a career spanning over 30 years, he has been recognized by his peers as a superb litigator, Chris has been listed in the book Best Lawyers in America since 1995. More recently, he was inducted into the International Academy of Trial Lawyers, an organization of attorneys who are elected to membership based on their reputation for excellence. He has been included among “Legal Elite Best Lawyers in Virginia” by Virginia Business Magazine. See U.S. Dept. of Transportation, National Highway Traffic Safety Administration, “Experimental Measurement of The Stopping Performance of A Tractor-Semitrailer From Multiple Speeds”, Report June 2011, at www.nhtsa.gov/DOT/…/Vehicle%20Research%20…/ca/811488.pdf. Federal statistics show that more than 20% of trucks inspected are taken off the road (“out of service”) as unsafe due to improper adjustment of brakes, inadequate tire tread, unbalanced or excessive loads, etc. See Federal Motor Carrier Safety Administration “Commercial Motor Vehicle Facts – November 2011”, at http://www.fmcsa.dot.gov/facts-research/research-technology/report/tractor-trailer-dynamic-alignment-research.htm.